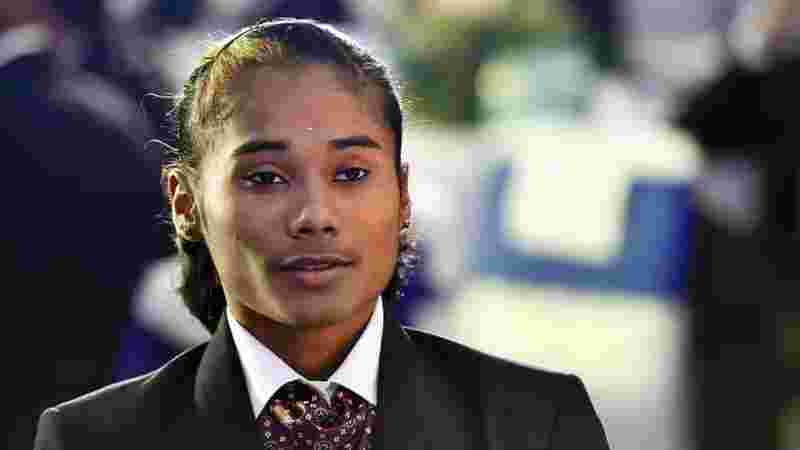 Her hair dyed with a thick streak of bronze, Hima Das walked confidently into the packed hall that chanted her name every time her achievements were announced. For long, Indian athletics has searched for a personality who could connect with the masses, and on Tuesday, the sinewy 18-year-old, who took up sport because her first love, football, “had no following”, emerged as the face that could mobilise hundreds — perhaps thousands — to take up track events. The way Hima blazed the track in the Jakarta Asian Games, where she won gold in women’s 4x400m relay and silver in 400m with a national record to boot, it seemed the Assam girl would go on talking endlessly about her achievements. Celebrity status brings with it the superfluous questions about change in lifestyle. Hima has had more than her share of those iconic moments at such a young age. So, has it changed her life? “If you ask me, everything… every event that takes place changes your life. The World Championships gold was life changing, the Asian Games medals were life changing, and sitting here in this posh hotel and interacting with so many people and being associated with a big sportswear brand is also life-changing,” said Hima, in a matter-of-fact way. “I don’t think much has changed, neither do I want life to change so soon. I only want to think about training and running in my next event. Yes, when I go back home, people try to touch me, hug me… that’s when I get the feeling I have achieved something,” said Hima before the Q&A session came to an abrupt end. A melee ensued and Hima was mobbed. Photographers stood on chairs to get the best view of the celebrity. Soon, it was time to leave the hall for the next felicitation function. A posse of security guards escorted her to a plush room where she could have refreshments before heading to her next stop. Hima certainly has hit the right track.